Emotional Support Peacock Kicked Off Plane | Phoenix Personal Injury Law Blog - Breyer Law Offices, P.C. Many people try to pass off their untrained dogs as service animals, putting other patrons of restaurants, airlines, and shopping malls at risk of being attacked. Recently, a United Airlines passenger was asked to leave the plane because she brought a large peacock with her as an “emotional support bird.” Although she did purchase a seat for the bird, United Airline’s policy is that emotional support animals must sit in front of the passenger’s seat without blocking the aisle or any other seats, and the peacock was too large to fit. Incidents from service animals, such as urinating, defecating, aggression, and biting are up 84% from 2016, and airlines are trying to protect other passengers. Owners of service animals now must prove the animal is well-trained as well as fully vaccinated, and give the airline notice at least 48 hours in advance. Many pet owners can easily order service vests for their animals online, passing them off as support animals even though they aren’t properly trained. Proper training is imperative in order to protect other pets and people, and should be done by a licensed trainer. All 4 Paws Training in Tempe on Price Road and the American Service Animal Society in Gilbert on Lindsay Road are starting points when researching proper training facilities. Owners who do not properly train their service and support dogs could be held responsible if their dogs bite or injure someone else. Dog bites can be even more serious if the animal is sick, and there is a statewide alert for rabies in Arizona after a woman was bitten by a coyote in Tucson and another was attacked in Green Canyon. The gray fox population in the area is also experiencing an outbreak of rabies, which is easily spread to pets. State officials are urging owners to make sure their pets are up to date on all vaccinations, especially pets that come in close proximity with other pets and people, such as service animals. While peacocks might not be able to bite as severely as dogs can, they do still attack, especially during mating season. Peacocks can scratch, peck and jump on people, and are more likely to attack small children. The birds are large enough to push someone over and cause major disruption, especially on a plane. Because their tail feathers are so long, the birds do not fit in front of a passenger seat and could cause other passengers to trip and fall. 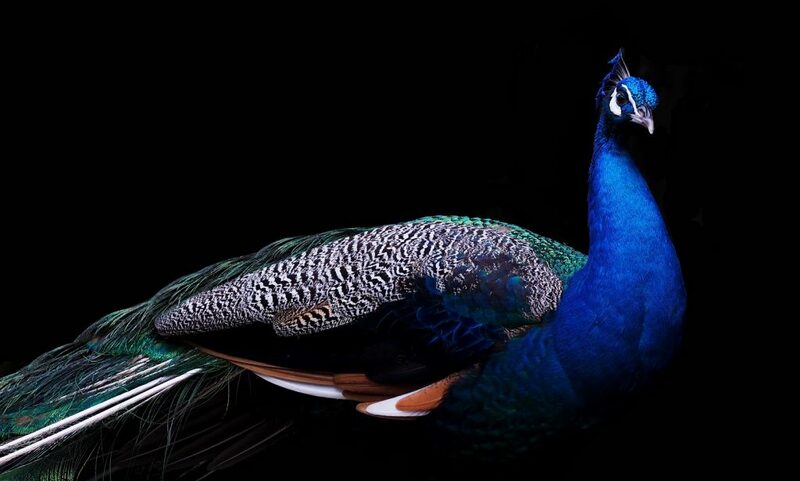 Plus, a peacock is difficult to train, and more unpredictable than a dog.